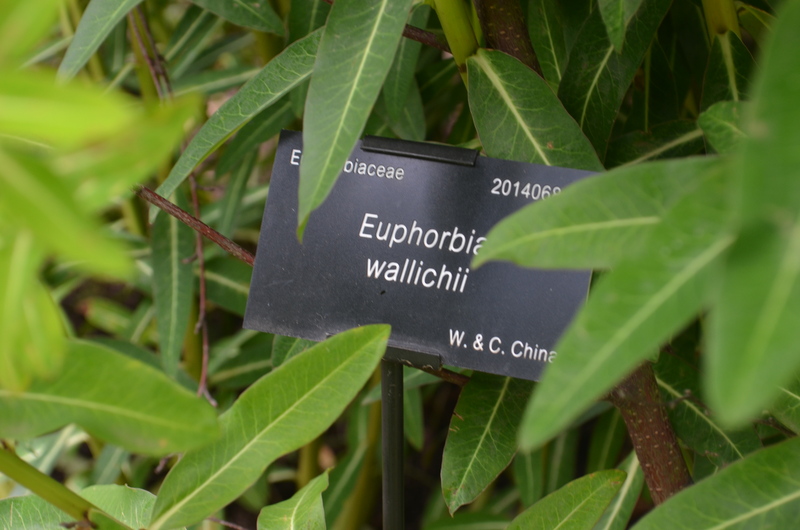 The Garden has been a Plant Heritage National Plant Collection holder of hardy euphorbias since 1983. 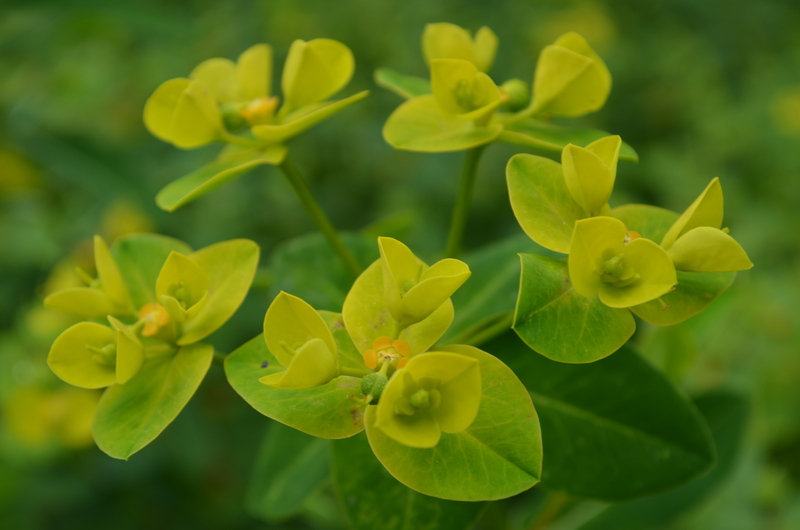 There are over 2,000 species of euphorbia, many of which are not hardy in our climate. The Garden’s collection is predominantly housed within the Family Beds, but euphorbia species and cultivars are cultivated throughout the Garden. Among the most prominent are the Mediterranean species, such as E. characias, E. myrsinites and E. nicaeensis. A selection of the tender species can also be found growing in the Glasshouses. The collection also contains the rare species E. stygiana, native to the Azores, which the Garden has been actively conserving for over ten years. 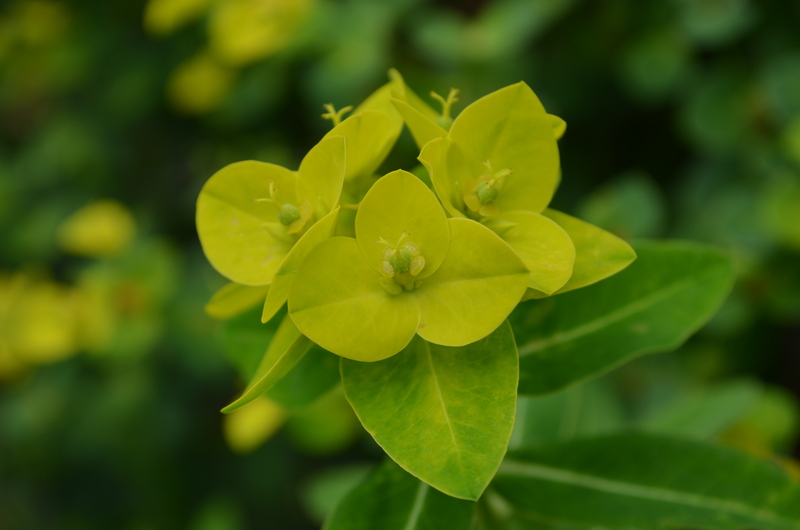 It is also the home to the hybrid, Euphorbia x pasteurii, which was first discovered in the Garden, and is now widely available in the trade. 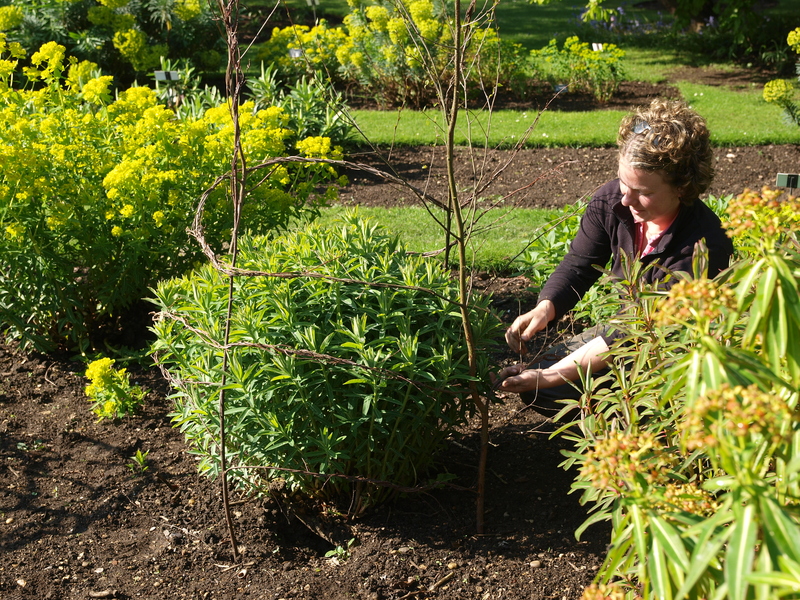 Want more information about features of the Walled Garden?